Upon checking out of the Holiday Inn in Gainesville, Florida, I ate breakfast in the Red Onion Grill there at the hotel (too expensive) and then headed out I-75 toward Memphis, stopping for coffee at Valdosta. I got some frozen yogurt from a TCBY near the mall in Albany, and then I drove on into Columbus and across to Phenix City, where I stopped for lunch at the Char-Broil Steakhouse, owned by the famous charcoal grill manufacturers across the river in Columbus. 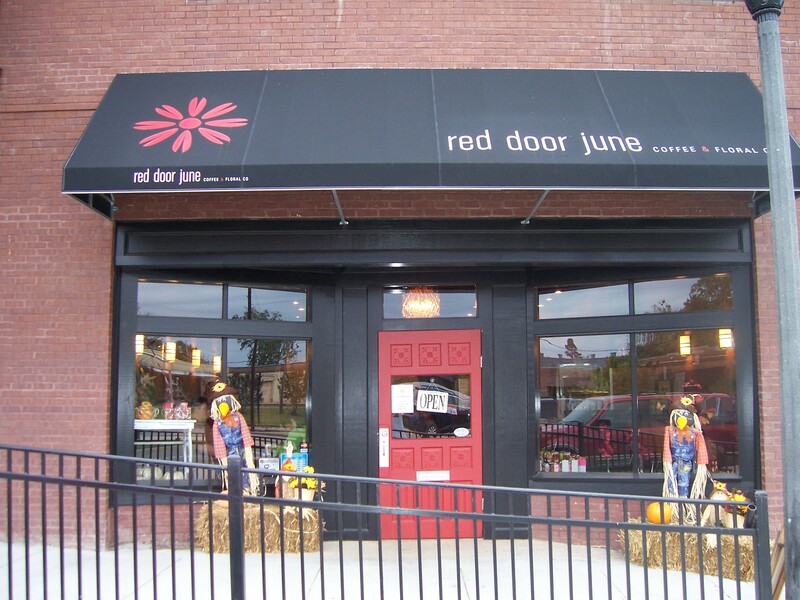 I stopped briefly at Red Door June coffee in Opelika. The rest of the trip was relatively non-eventful, except for my fruitless effort to find coffee in Tupelo. The coffee bar downtown on Main Street had closed (and was supposedly moving to Gloster Street), but Uptown Coffee on Gloster was also out of business, so I gave up and headed on into Memphis. There was no kind of breakfast anywhere in Douglasville other than Waffle House, so I went there and ate breakfast, and then, after checking out of the hotel, I drove west into Alabama. Finding gasoline was just as much of a problem in eastern Alabama as it had been in Georgia, and at Anniston, the Exxon station was compeltely sold out, so I had to drive on to Pell City, and even there, I could only get premium gasoline. I decided not to stop and eat in Birmingham, but I grew so sleepy on Highway 78 outside of Fulton, Mississippi that I decided to stop in Tupelo for a coffee at JoJo’s Java downtown. However, when I got there, a sign announced that Jojo’s was moving to the old Uptown Coffee location on Gloster Street, but I soon found that it wasn’t open at either location, at least not yet. My iPhone was showing a Starbucks location on East Main Street downtown, but I never could find it, so I gave up and drove on into Memphis. My mother and her husband had only been back a day from their own vacation to Branson, Missouri, and they were tired and worn out from their trip, just like I was from mine.